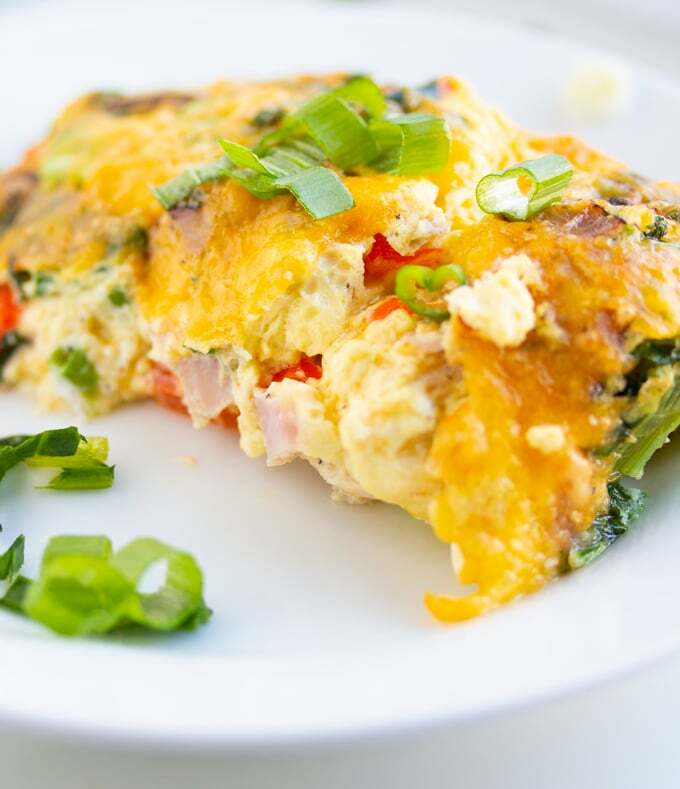 This Air Fryer Egg Frittata recipe is the easiest way to make a delicious breakfast frittata in your Air Fryer. It’s loaded with veggies and tons of flavor. It’s the perfect Air Fryer Breakfast. 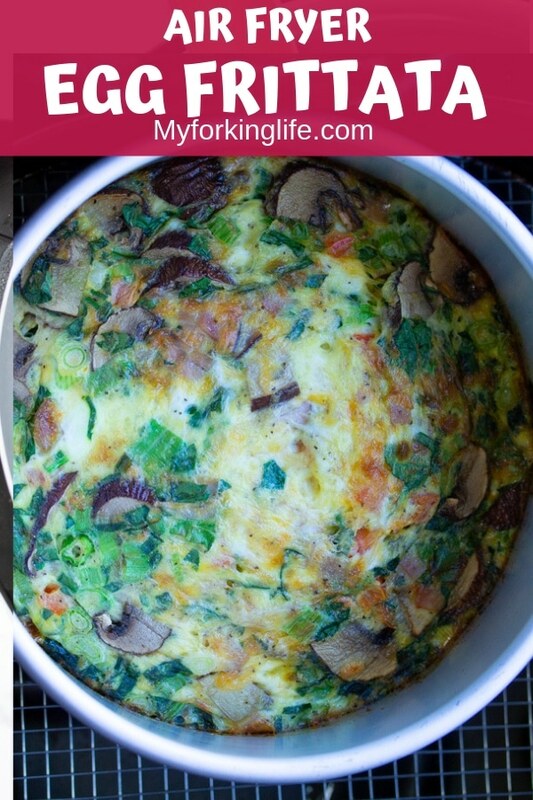 I’m always looking for different ways to cook my favorite breakfast staple…the edible incredible egg! Scrambled eggs happen often on weekdays. These sous vide egg bites happen often on the weekends. And now this Air Fryer Egg Frittata makes a common weekend appearance as well. I love making this egg frittata in the Air Fryer because as I always say, the Air Fryer is my babe and it makes life so much easier. 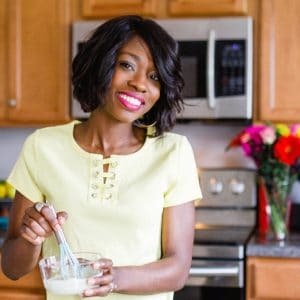 There is no need to preheat the Air Fryer for this recipe and the frittata is done in less than 20 minutes! 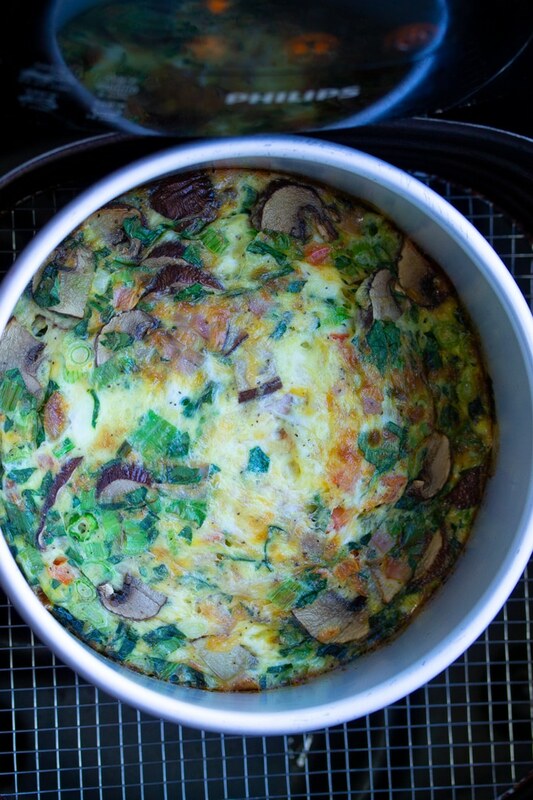 First, prepare your vegetables and meats that you’ll be placing in your frittata by chopping them into small pieces. 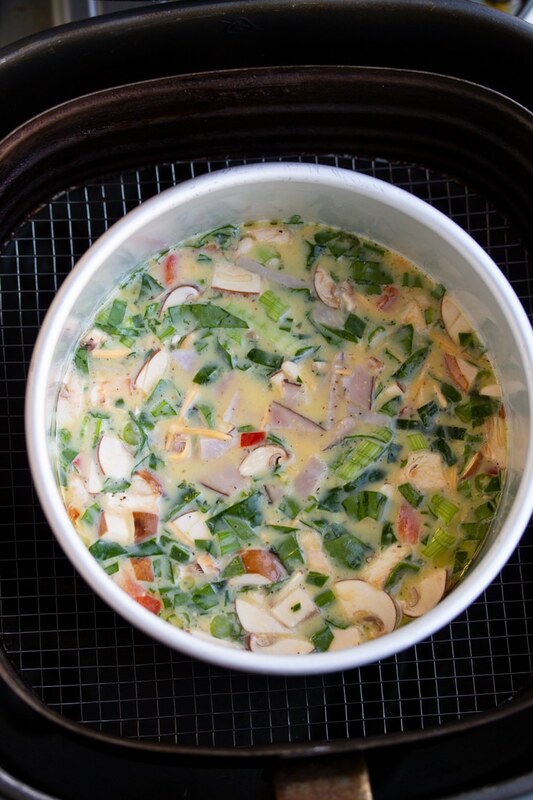 I like to use ham, mushrooms, spinach, red bell pepper, and green onions. Set aside. 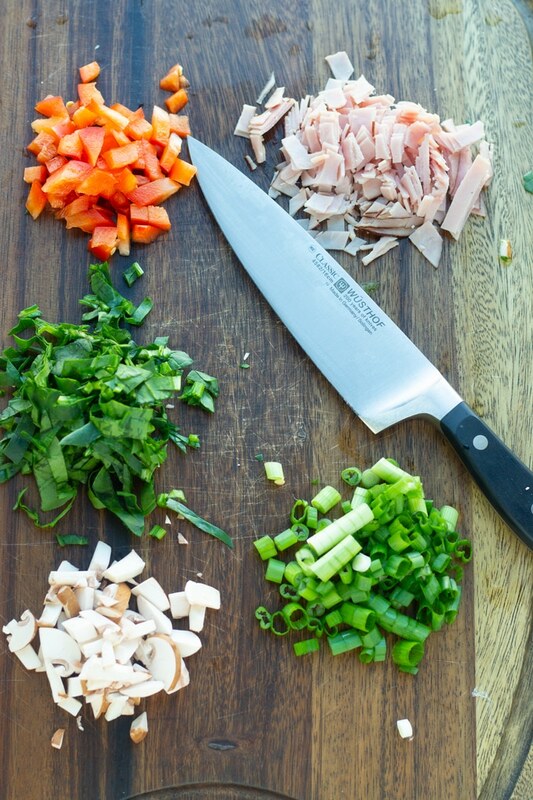 On a side note…this knife is life when it comes to everyday kitchen use. It’s 6 inches and perfect for my small hands. It’s also super sharp and strong. 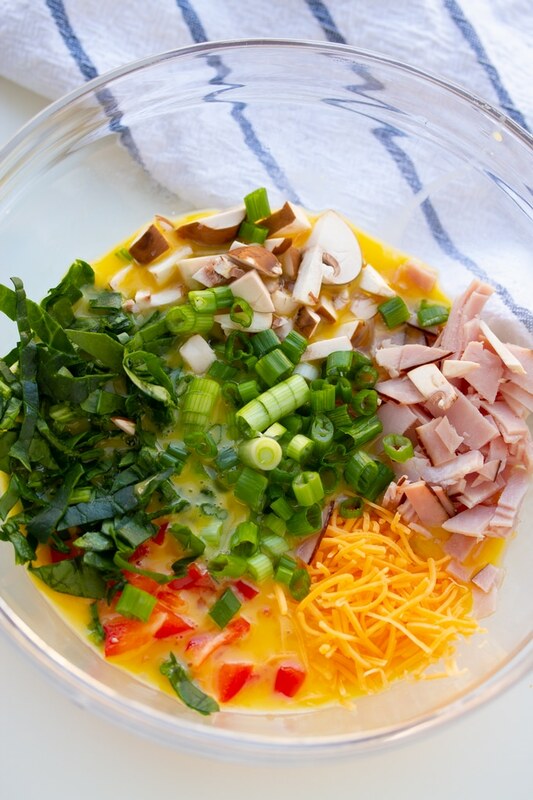 Next, whisk your eggs in a large bowl. Stir in milk until mixed. Then add in your veggies, meat, cheddar cheese, salt and pepper, and dash of hot sauce. Stir to combine. Then pour your mixture into a greased 6 inch round or square pan that will fit inside your Air Fryer. Close and cook on 360 degrees Fahrenheit for 15-18 minutes, or until toothpick comes out clean. 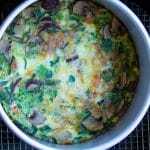 This quick and easy Air Fryer Egg Frittata is the perfect breakfast to make in your Air Fryer. Add in your favorite vegetable combination for a nice twist. Grease 6x3 inch round or square pan with butter. Set aside. 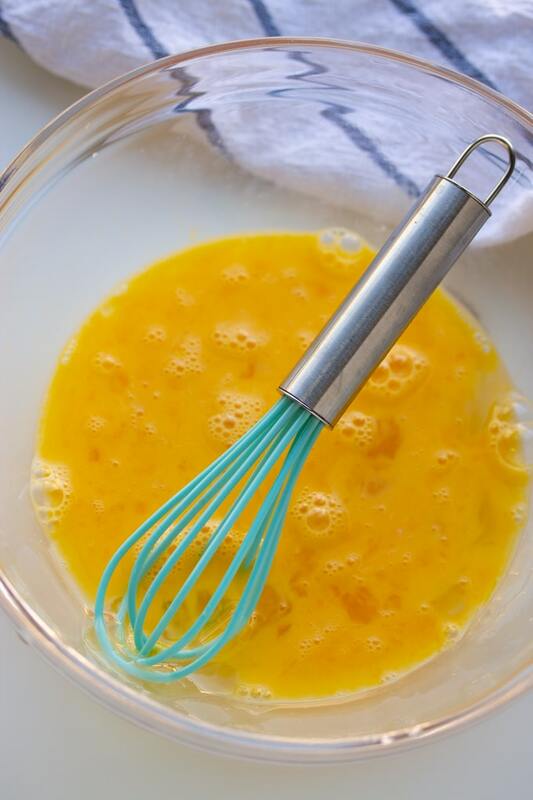 Whisk eggs and milk in a large bowl until blended. 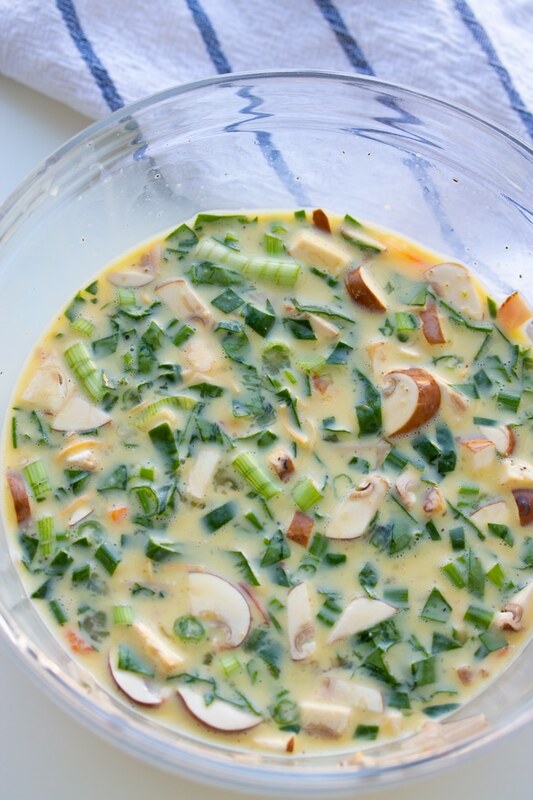 Stir in green onions, mushrooms, spinach, red bell pepper, cheddar cheese, salt, black pepper, and hot sauce. Pour egg mixture into greased pan. Place in air fryer and cook on 360 degrees Fahrenheit for 15-18 minutes, or until a toothpick comes out clean. Cook times will depend on Air Fryer model. You can grease your pan with oil or butter, although I found that butter made it more non-stick.